It was 1918, and World War I was coming to an end. 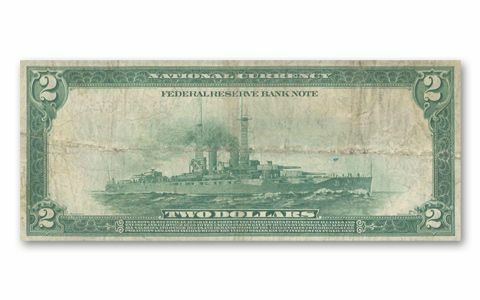 We saved Britain and France, and when it was time to issue a new $2 Federal Reserve Bank Note, the government used the reverse for a propaganda message. It shows the battleship, USS New York, steaming from west to east and gave a clear warning: The U.S. is ready, willing and able to defend Europe - and just over 20 years later, we did. 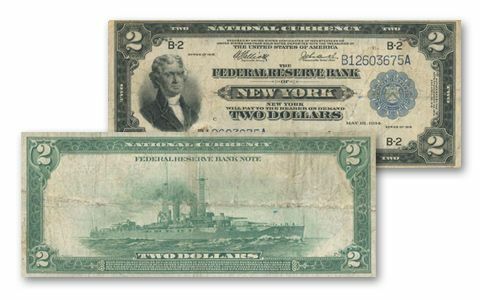 Although the Federal Reserve never intended to create one of the most collectible notes ever, that's just what they did. 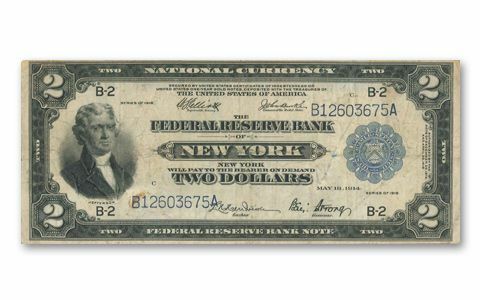 This large "Horseblanket" note is rarely seen and highly coveted. Comes in clear archival folder for viewing.